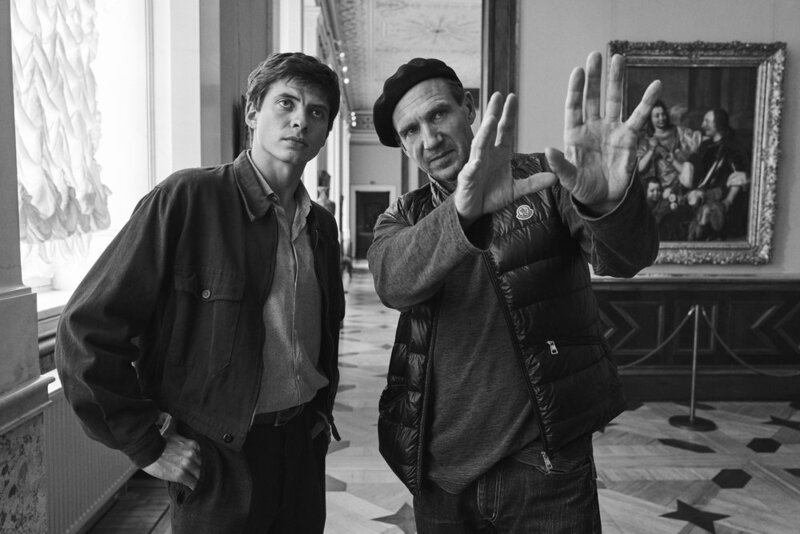 Ralph Fiennes’ third film as a director, The White Crow, tells the story of Rudolf Nureyev, perhaps the greatest ballet dancer of the twentieth century. Born aboard a moving train in Russia in 1938, Nureyev’s humble beginnings stoked in him a fire to succeed as a dancer. He trained with the Vaganova Academy of Russian Ballet of Saint Petersburg from 1955, and in 1960 found liberation during a trip to Paris. It was here, soon after in 1961, when Nureyev took the radical step of defecting from the Soviet Union, a pivotal moment in his life that provides the climax of Fiennes’ film. British playwright David Hare adapted Nureyev’s story for the screen, working from Julie Kavanagh’s biography of the dancer. Aged 70, The White Crow is the latest achievement in a prolific career covering the stage, the small and the big screen, producing works that have earned plaudits from all sides. We spoke to Hare about The White Crow, his admiration for Rudolf Nureyev, and reflections on writing. Throughout your career you have told the stories of many real life figures, from Virginia Woolf in The Hours to Deborah Lipstadt and David Irving in Denial, and of course Rudolf Nureyev in The White Crow. With historical stories and biopics, research must be a more significant part of the writing process? If you write about real people, I do think you have some responsibility towards them, and you do have to try to find out the truth about them. The White Crow is as true as I can make it. In other words: I believe that is what happened. I’m waiting to be contradicted, I’m waiting for somebody to come out of the woodwork to say, “what you haven’t understood, or, what you’ve missed is this…” but nobody has done. I enjoyed meeting Clara Saint, the woman who helped him, and Pierre Lacotte, a dancer who was Nureyev’s friend in Paris. Talking to them and, most of all, talking to Baryshnikov who obviously knew Nureyev extremely well and has some of Nureyev’s memorabilia, and was the great contrast to Nureyev when they were dancing, talking to these people was pure pleasure. They want the story to be set right, because it’s been told wrong often and so, on this particular film, research was fun. Mostly, now, at my age, I tend to reject ideas that involve a huge amount of research, the research bores me now. On Denial, a film about holocaust denial, I was writing about a 40 day trial and the transcripts of the trial are of six or seven hour sessions. It was taking me 5 hours to read a day’s evidence. So those kind of projects that involve mammoth research, I’m too old for it. It makes me feel like I’m going to school. With The White Crow being based on a true story, and this sense of duty to recount the events in Nureyev’s life with accuracy and authenticity, is there a conflict as a writer between truth and drama? I always think the two are the same. What I do is organise, so that you understand the way things fit together. It was always Ralph’s idea that Nureyev’s childhood and adolescence would be part of the film and that, by showing who Nureyev was, we would be much closer to him when we came to that moment of defection in Paris, which was always the bit we were heading for. So each of those three stories had to have a drive, you had to feel that each of them was going somewhere. That’s the challenge of screenwriting. It was a Soviet argument: you came for the people, we have given you all this, now why are you not willing to give it back to the people. To which Nureyev said, well I want to dance at the highest level, and I will only become great if I dance at the highest level. The Soviet state’s argument was that position is a form of selfishness. Now, people I know in the Soviet Union say, yes, Nureyev’s defection was courageous, but it wasn’t nearly as courageous as the day he went to Moscow and refused to be sent back to dance in the provinces. They said that needed real courage. You cannot imagine how unusual it was, not to do what the state told you to do. But he refused. It’s often said that a writer cannot help but put a part of themselves into their work. Despite The White Crow being a biopic, and despite Rudolf Nureyev having been a real person, is it possible to avoid inserting moments or ideas of yourself? There are bits you like more. When Pushkin says that dance steps have a logic, that they follow from each other, any writer or actor is going to identify with that because you know the feeling. When you write a scene in which you don’t appear to have written the dialogue, it’s just written itself and one line follows another line and it’s all completely natural and it doesn’t need forcing at all, that’s when you’re writing well. Those bits, of course, I identify with very strongly. But I can’t say the big struggles… yeah, I have sacrificed the happiness of people around me to be a writer, it’s true. And I think a lot of people who’ve been in my life would say they’ve lived the price of being involved with me. So there are ways in which you can relate to Nureyev? I also have a furious temper, and there are certainly occasions artistically where I’ve lost my temper as badly as he does. It’s a horrible thing and I’m ashamed afterwards, but he wasn’t ashamed. I was very proud when I found that line where he says to Clara, “If you want apologies, you’ve come to the wrong man.” I thought that is absolutely Rudolf Nureyev. In the film we follow Nureyev to museums and art galleries, we hear of his trips to classical music performances. That affection for the arts of all disciplines, is that something he lived? He had no formal education and felt he was left behind, which is a feeling a lot of ballet dancers have because they spend so long in class and are so dedicated, that they know so little about the outside world. his friends who are alive, and who we talked to, they said Rudi just sat there and learned things by rote. So in the script I have him walking through the square memorising Rembrandt, because nobody’s taught him about Rembrandt - he’s had to learn it all himself like that. There something fascinating about autodidacts, about people who have to do it all themselves. He had that quality. Neither Nureyev or Oleg Invenko who plays him in the film, have English as a first language. The film moves between English, Russian and French, so how did you create authentic speech? I wrote it all in English, but it was not easy to translate. Three different people worked on the translation at some point, as well as the actors themselves. About my sentence structure the Russians would say they just don’t have that way of saying something, and I would then have to discuss with them just how they would put things. It was by a process of trial and error, but because I don’t speak a word of Russian they may well be asking for a pound of sausages for all I know. I have to trust them. The whole thing came from a producer giving Ralph Julie Kavanagh’s book, which is sort of the standard biography, saying that there’s a film in the first six chapters. When he brought it to me, I just wanted to write about Paris but he persuaded me to write about Nureyev’s childhood and his apprenticeship. You couldn’t really understand Nureyev unless you understood where he came from, and how deprived his childhood had been, and how tough his life had been. Once you could see, yeah, we’re going to actually explain who he is, before he makes this decision, then we know what film we were trying to make. Another line of dialogue in the film, spoken first by his tutor, Pushkin, and later by the student, Nureyev, that says, “You cannot dance if you don’t have a story to tell.” Is this sentiment true also of a writer? Is there a moment in your career where you felt closest to telling your story? Plenty was the first really good play I wrote. I’d been working for ten years, and at the end of the ten years I wrote Plenty and that was then made into a movie and, at the time I wrote it, I felt this time I’ve really said exactly what I want to say, and I’ve hit it bang on the head. I don’t know that I’ve ever felt the focus as complete and sharp again. The television work that I’ve done this decade, in other words Page Eight, the Worricker films, and Collateral, I think are some of the best things I’ve ever written and I love them. I think that writing for television is much, much harder than theatre writing. It’s really difficult to pull off. These are the first real things that I’ve been really proud of and, in both cases, Page Eight, Salting the Battlefield and Turks & Caicos with Bill Nighy, and then Collateral with Carey Mulligan, I’ve just felt that I have the supreme players’ work. Bill and Carey are both genius actors and so, part of the joy of those projects is just loving those two actors. Of course, writers never retire. It’s one of those jobs. Yeah it’s great. I mean, Philip Roth did stop. Philip Roth did say that he didn’t have the physical energy. He said he had the imaginative energy, but the physical energy, what’s involved in a novel, is too much. But it’s very unusual for somebody to say that, and I’m no where near giving up. No where near. This biopic of Rudolf Nureyev, possibly the greatest ballet dancer of the twentieth century, hinges on a climatic moment in the young dancer’s life. Sent to Paris as a pawn in the Soviet Union’s plan to show their cultural supremacy, Nureyev refuses to conform, enjoying the dazzling city to its height and enjoying unknown freedoms. But when the authorities clamp down, he is forced to make the ultimate decision.